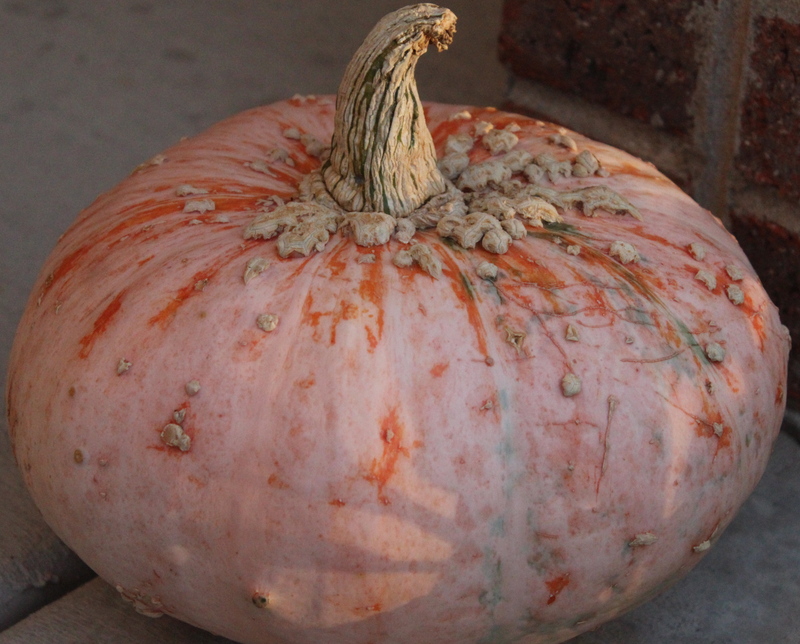 The frost is quite literally on the pumpkin. It snowed a litle today and to think that we experienced 70 degree days only a few short weeks ago. Oh well. If some of you know me well enough then you know that fall is my favorite season. 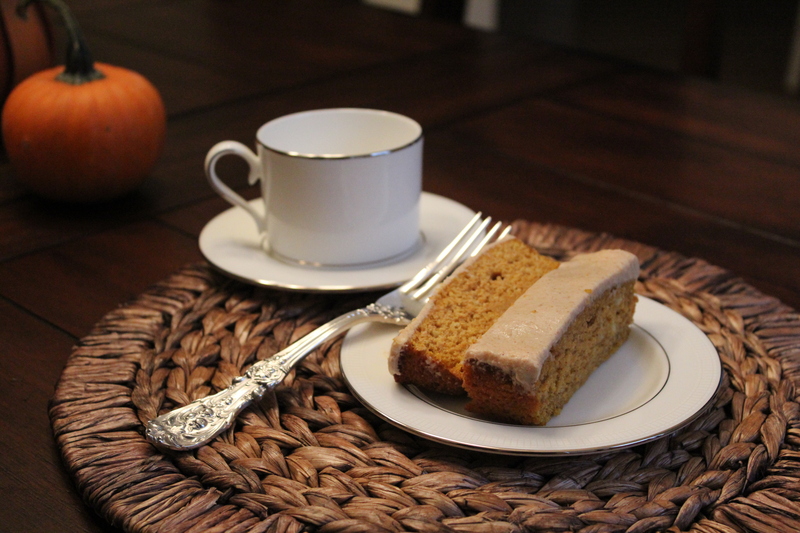 I have been baking up lots of batches of various pumpkin goodies this year so I wanted to dedicate my first post to a pumpkin recipe that has served me well in the past and a new recipe that is already a hit among friends and family. 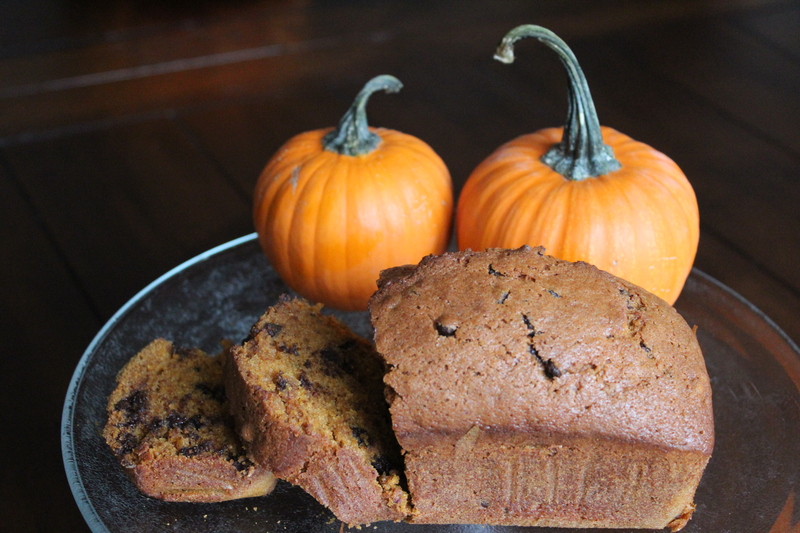 Chocolate Chip Pumpkin Bread– this sweet bread is full of the flavors of fall. It’s the autumnal version of banana bread. My husband’s grandmother passed this recipe along to me a few years ago after I begged for it. The recipe for the icing she puts on top is still top secret, but I will continue to ask for it and update this post if she obliges. Sift dry ingredients together and set aside. Beat eggs, add oil, water, pumpkin. Mix well. Pour over dry ingredients and mix well. Fold in 1/2 bag miniature chocolate chips. Pour into 4 small rectangular baking pans that have been greased and insert waxed paper. Bake at 350 degrees for 70 minutes. Cool in pan. Heat oven to 350 degrees. Grease one nine inch loaf pan, pour in batter and bake for 60-65 minutes depending on your oven. Make sure a toothpick that is inserted comes out clean. Hint: You can prepare this frosting ahead of time and just chill until you are ready to use. Re-whip it before spreading on the cake. Combine gelatin and 1 Tbl water and let sit for 10 minutes. Bring honey, sugar, and 1 Tbl water to a boil in small saucepan, reduce heat to low, and simmer for 5 minutes. Remove from heat and let cool for 3 minutes. Stir 3 Tbl of honey mixture in with gelatin until dissovled. Whisk into remaining honey mixture along with salt and cinnamon. Pour into a medium bowl and beat, using a mixer set on high speed for 10 minutes and doubled in size. Add butter, a few Tbl at a time until completely mixed. 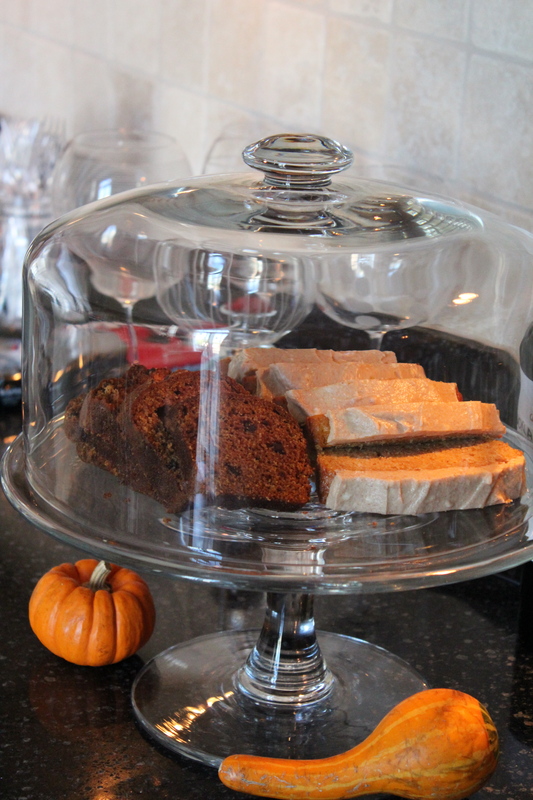 Finally, add the vanilla and frost the pumpkin loaf. The frosting is a bit labor intensive, but worth it!